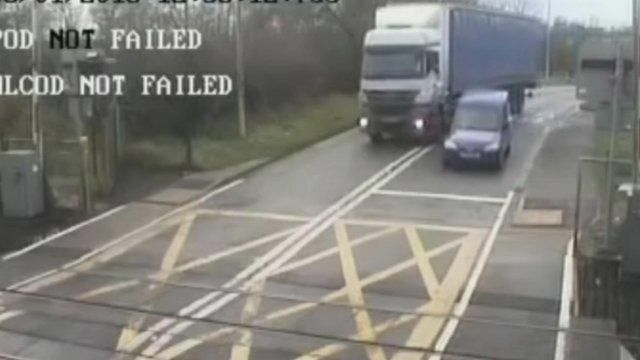 Footage of a lorry overtaking a van on a level crossing in Lincolnshire has been released by British Transport Police. The CCTV, recorded on 5 January, shows the HGV passing the van at speed near Ulceby, forcing the van driver to stop on the crossing. Inspector Graham Bridges said it was an example of "extremely dangerous driving" and the police are now trying to trace both drivers.